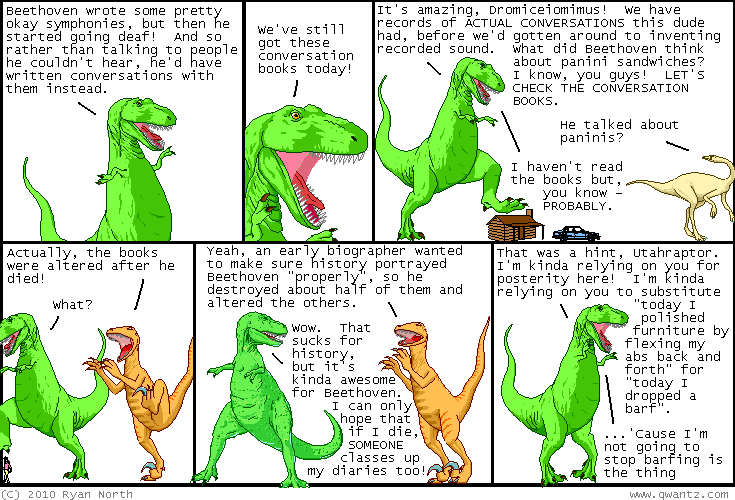 Dinosaur Comics - November 22nd, 2010 - awesome fun times! November 22nd, 2010: What's crazy is that hours after writing this comic I DID polish my furniture by flexing my abs back and forth, entirely by accident. One year ago today: alternate endings involved trying to decide between duress phrase candidates "condition green", "condition omega alert", and "dude you sound turdly"